BRRRR!!!!! 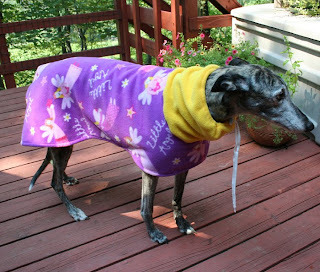 It’s been a really frigid winter and the hounds have been reluctant to go outside! We can’t blame them. So are we! We have some great double fleece coats in our Greytdogs Store and we have just made another order to bring even more in! Check out the assortment we offer and take advantage of the great prices.